There are different styles and colors we can do to our hair. 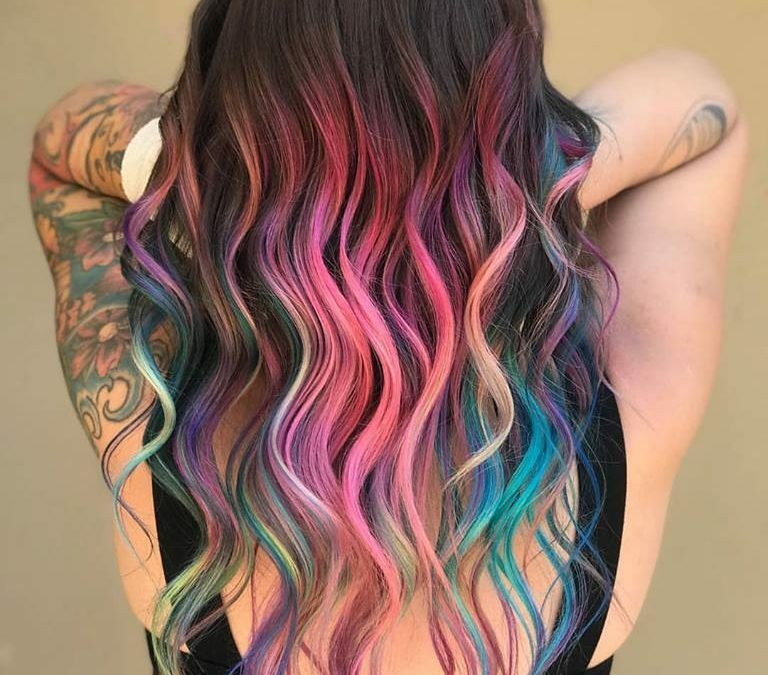 In social media one of the most popular hair trend is the Rainbow hair, which girls get to use different colors to dye their hair and it definitely looks great. Many girls would die just to get their hair in a rainbow color. But what is the rainbow hair trend all about? Rainbow hair looks magical, unique and even used by certain Hollywood artists today, which is why more and more woman are getting interested in this type of hair trend. The rainbow hairstyle is perfect for anyone to use whatever texture or length of your hair is. You will definitely get noticed by people when you walk in the streets and catch everyone attention, because of those bright variety of colors that you wear off your head. That’s what you can expect if you want to have your hair dye with a rainbow color. And since it is part of the trend, you can easily find salons who can do the rainbow hair trend for you. These days there are plenty of hair colors that you can use to dye your hair and yes choosing your favorite color would definitely make you love it even more. The basic things you need to prepare in getting your rainbow hair color is mainly the color, length & view. Length – how long do you want it? There are some who doesn’t put a full cover with their rainbow hairstyle, instead just put certain parts of their hair like the bangs, center side, edge and etc. It all depends on how you want rainbows to show. Visibility – one of the important thing that you might need to consider is the visibility of the rainbow in your hair. You can have full rainbow hair coverage, under your covered dark hair or just get it for highlights. Thick or thin layers of your hair and etc. This helps you decide the key points you want for your hair to look. Best thing you can do? Search in the internet for “rainbow hair styles” and you will easily get an idea of how you would like your hair to be colored as rainbow. Also, you can save those images, go to the salon and show them a reference for them to know easily what you expect for your rainbow hair color to look like. What Makes It On Trend? Aside from used by Hollywood artist, the rainbow hair color can bring potential, confident, style, uniqueness and draws attraction to people. Yes, everyone would love to have this kind of hair color but not all has the courage to get their hair rainbow done. Having the type of hair color that is unique from the rest is surely get noticed.